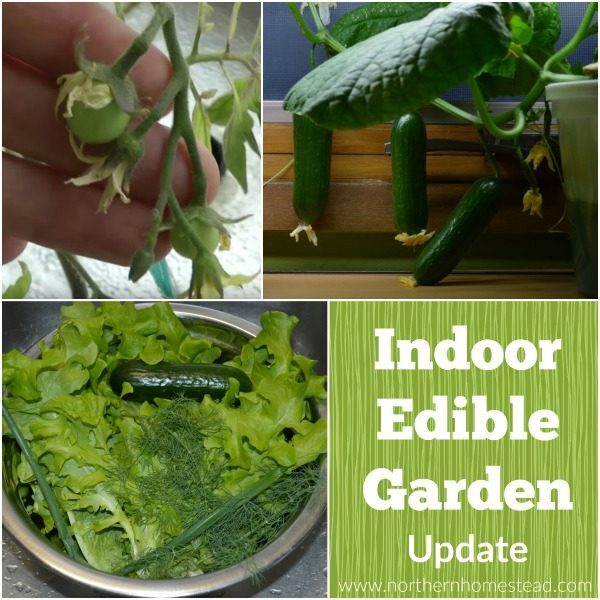 Growing an indoor edible window garden in water instead of soil opens a whole new world of indoor gardening. 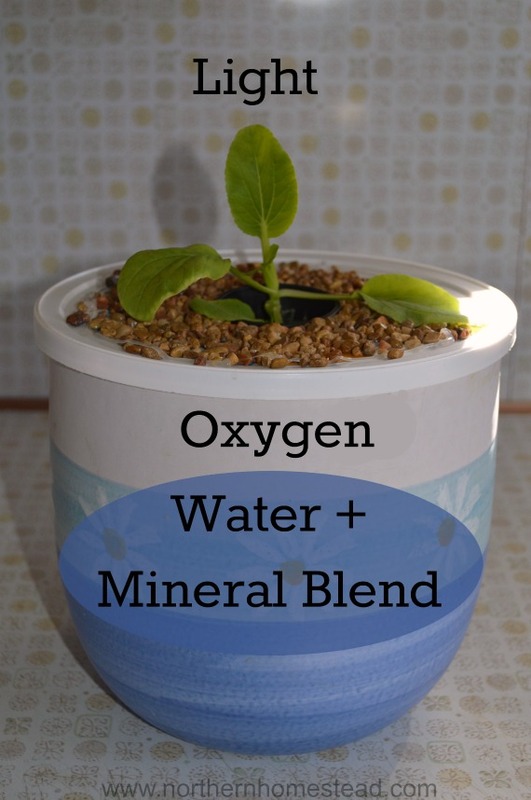 Growing plants in water is called hydroponics, here plant nutrients are distributed via water. The word “hydro” simply means water, hence hydroponics. All the nutrients are added to the water. 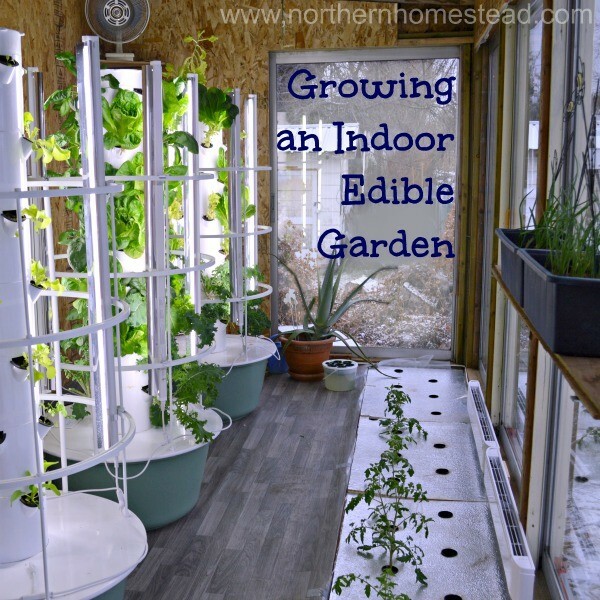 This eliminates so many indoor edible garden problems. 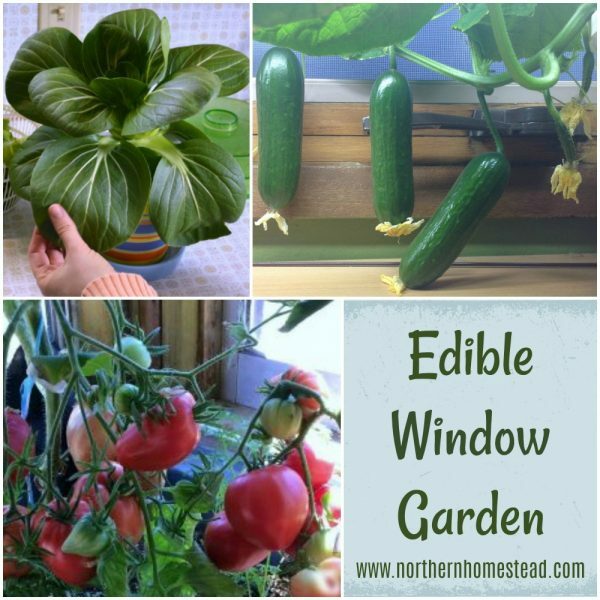 As you can see, there are many good reasons to grow an indoor edible window garden in water. Many people want to apply the term “organic” to various forms of hydroponics. That’s not possible by definition, because hydroponics growing requires no soil, and soil is a prerequisite for organic growing. It is like saying the soccer player has scored many baskets; it doesn’t apply, because it’s a totally different ballgame. Organic fertilizer components are dependent upon organisms in the soil to convert the “organic” materials into a usable form for plants. 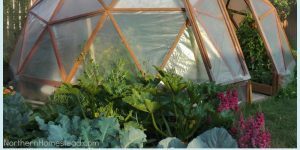 Hydroponics does not replace organic growing in soil, it fills in the gaps of times and places where we cannot grow in organic soil. Sure, growing in water is not the same as growing food in organic soil, but indoors we do not have any organic soil anyway. 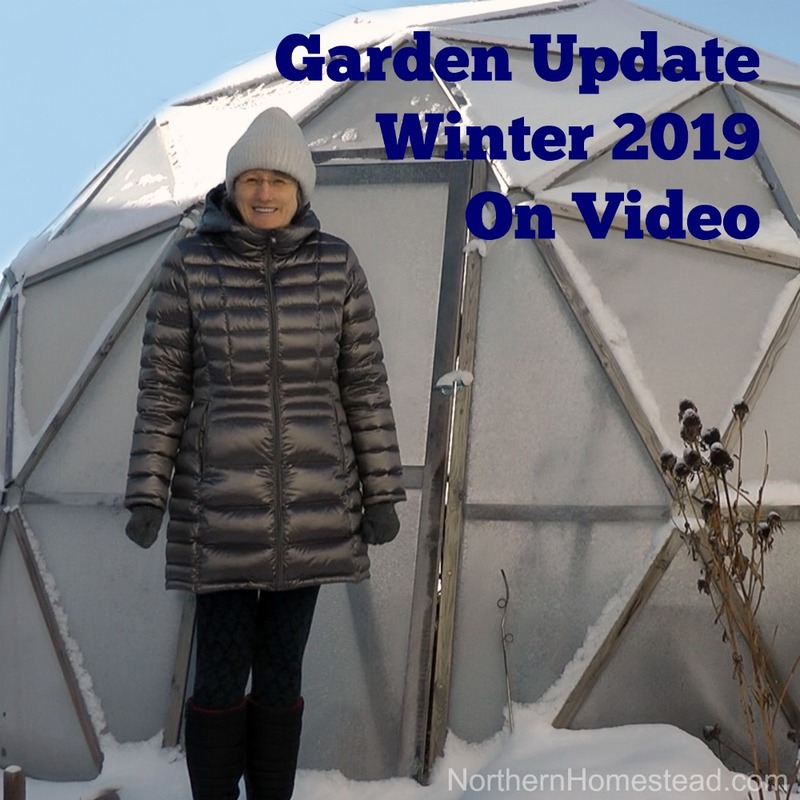 So hydroponics allows us to grow food year round, and it is the next best thing to organic soil. 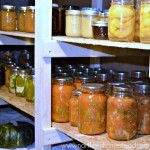 Besides, did you know that a good portion of store bought food is grown hydroponically as well? So growing it at home, without any pesticides in a high quality mineral blend is so much better. 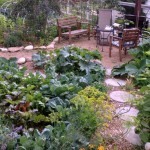 There are many different ways to grow in water instead of soil. You can choose from simple DIY setup to high functional systems on the market. 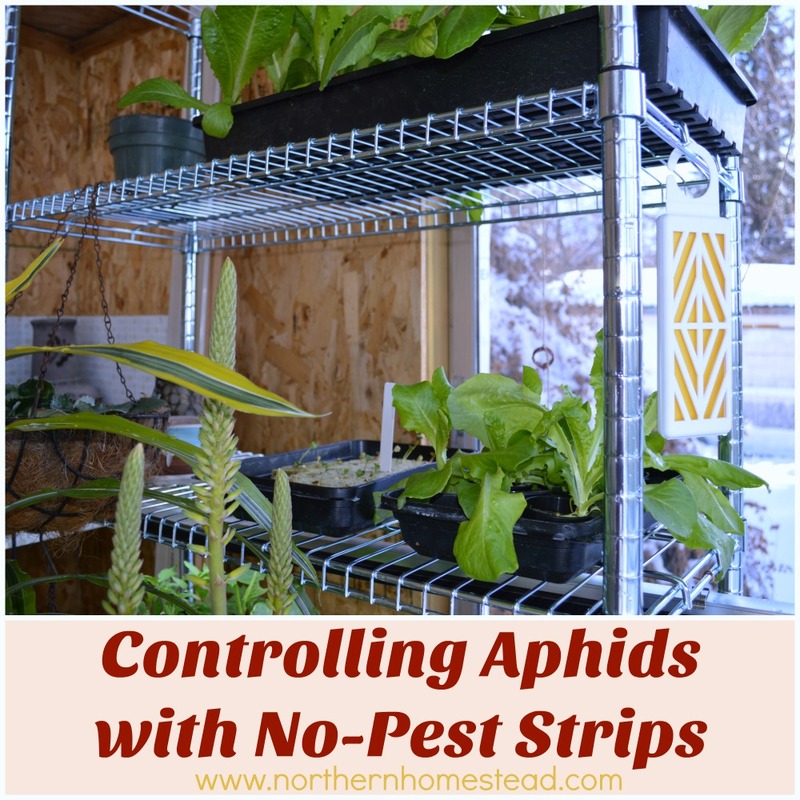 Generally speaking there are two methods: Aeroponics and the Hydroponics. 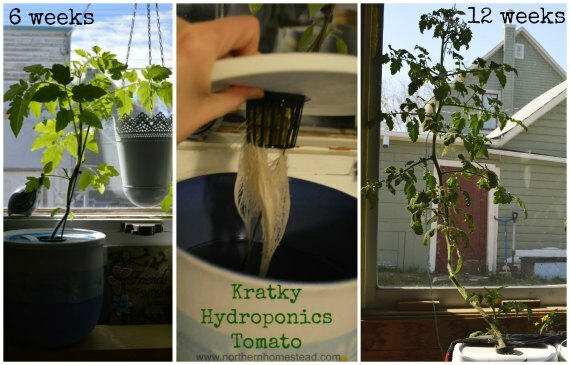 The Kratky method is a very simple hydroponic growing method. B.A. 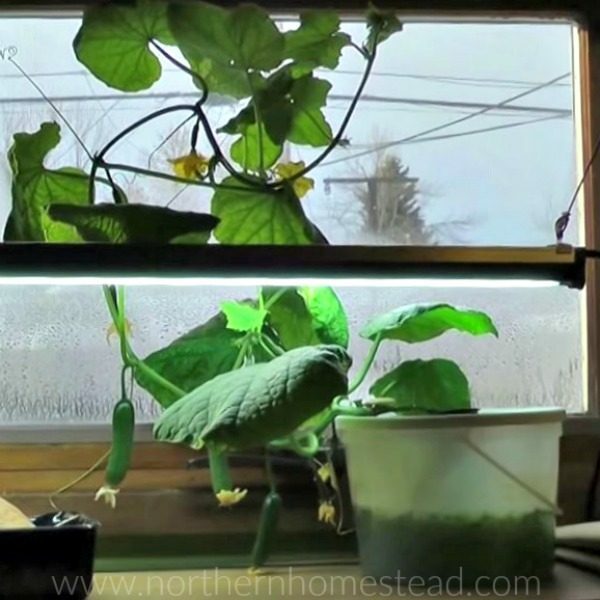 Kratky from the University of Hawaii discovered this non-circulating hydroponic growing method that does not require any pump or air stones, and no electricity at all. 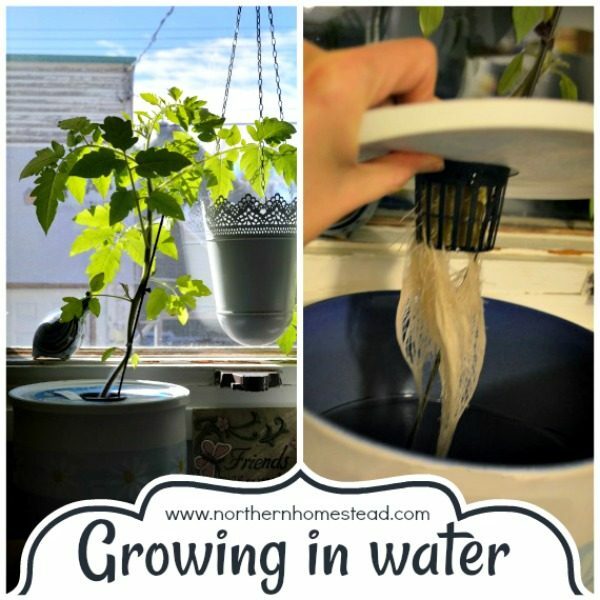 The Kratky method provides water, nutrients, and oxygen in a very simple way. 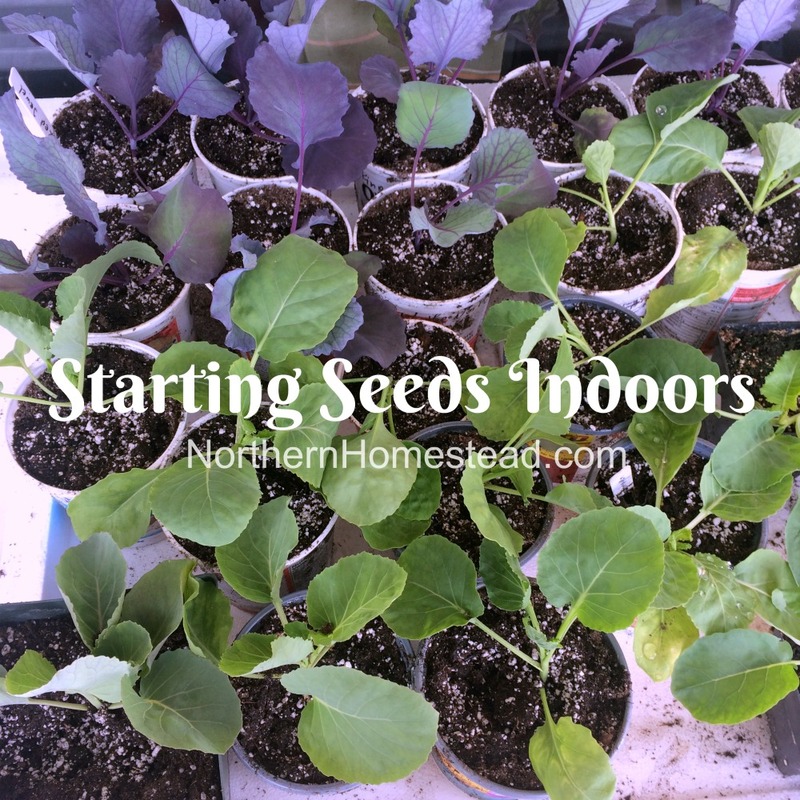 You add water with all the mineral solution needed into a container with a net pot and some rock wool (or a growing medium of your choice), plant your seed and let it grow. 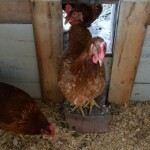 You start with a full container of water with nutrient solution. As the plant grows, it will “drink” the water. 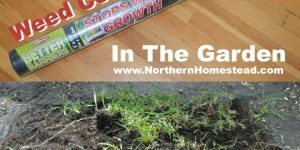 The gap will be filled with moist air, providing the roots with oxygen. By the time the plant used all the water, it is ready to be harvested. 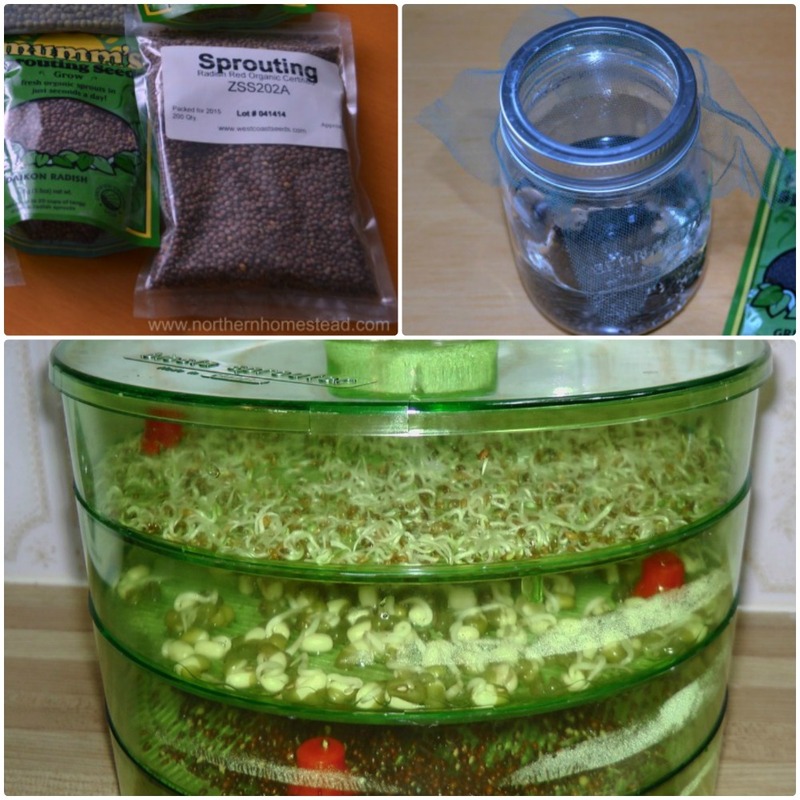 This is very basic hydroponics and is great for short living plants like lettuce. We write more about it here. Floating hydroponics starts the same as non circulating hydroponics. Except here are the plants planted into a floating platform that floats on the water. In order for the roots still to get some much needed oxygen an air stone is added. An air pump supplies air to the air stone that bubbles in the nutrient solution and this way supplies oxygen to the roots of the plants. A friend has an AeroGarden and loves it for indoor herbs growing. 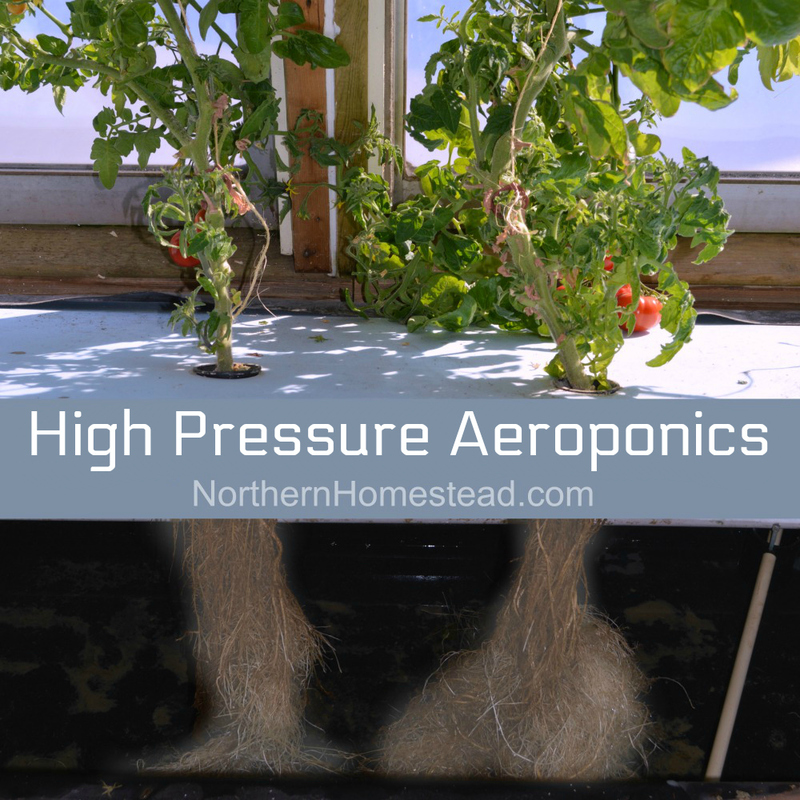 Most of our indoor growing happens in aeroponics, meaning the roots of the plants are in air instead of water. 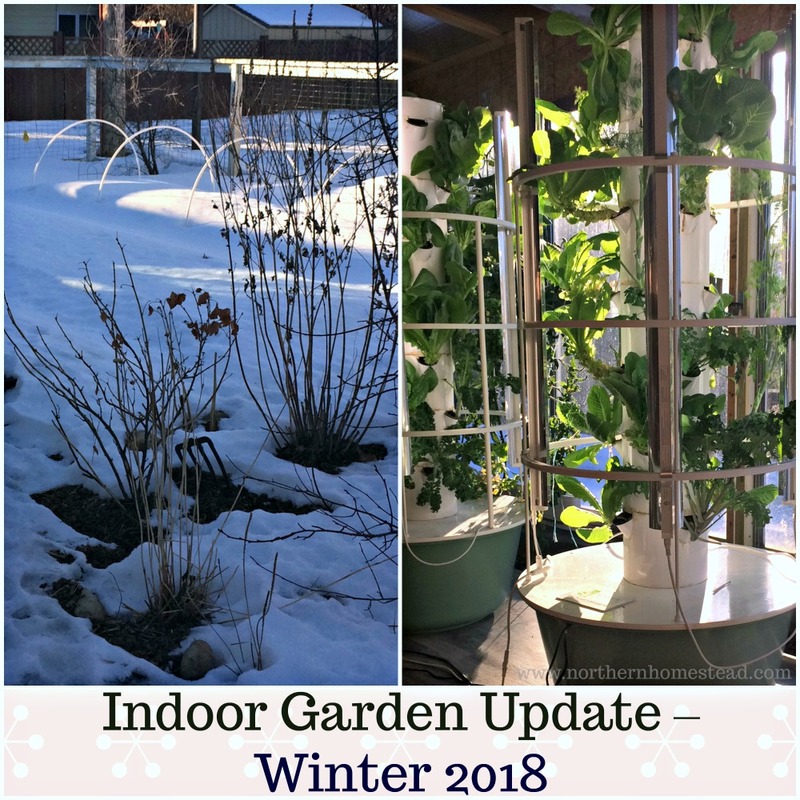 Our Tower Gardens use a showering system.We use the Tower Gardens indoors in the winter and outdoors in the summer. 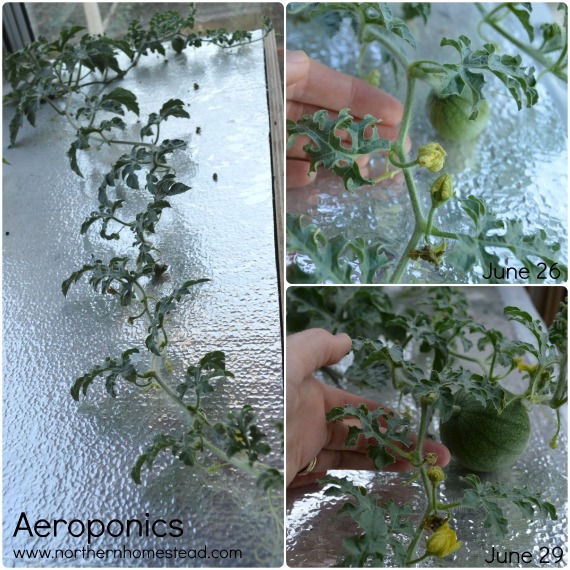 The aeroponics growing box had a mist spray system. 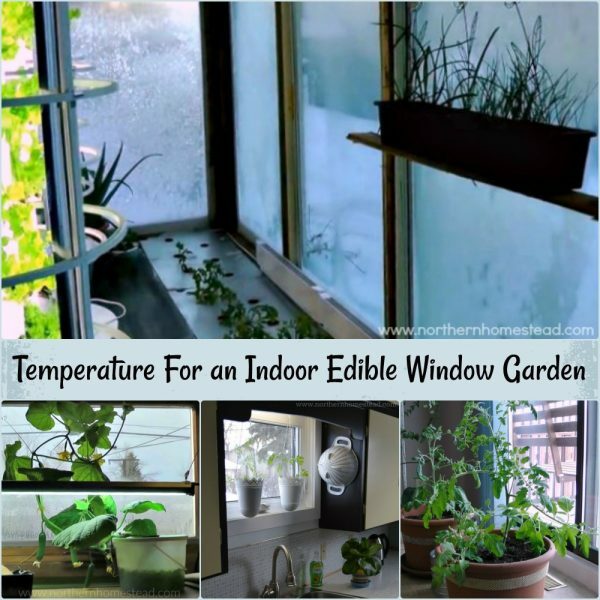 We used it year round at the south-facing windows. 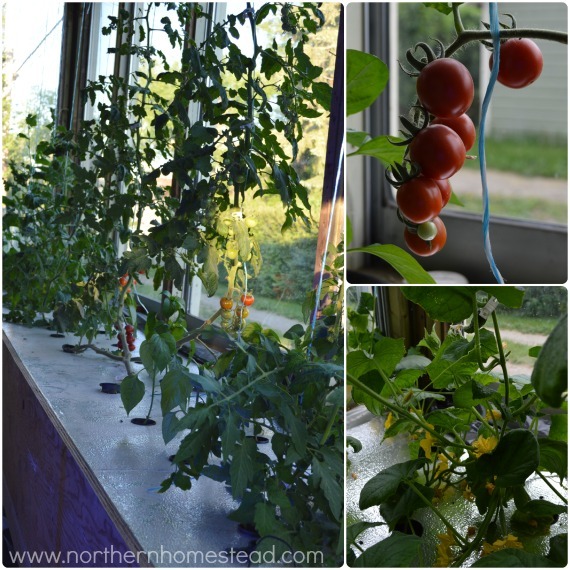 Our summers are cool, so to have a window garden indoors with tomatoes in the summer is great. 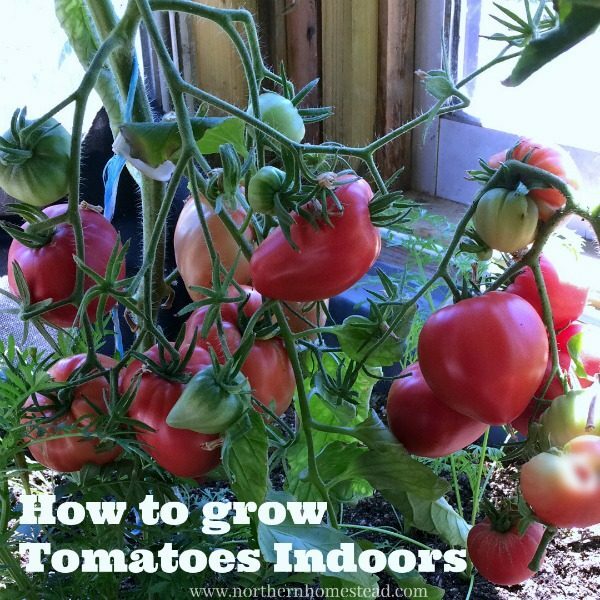 This way we can harvest tomatoes much earlier in the season and for a long period of time. 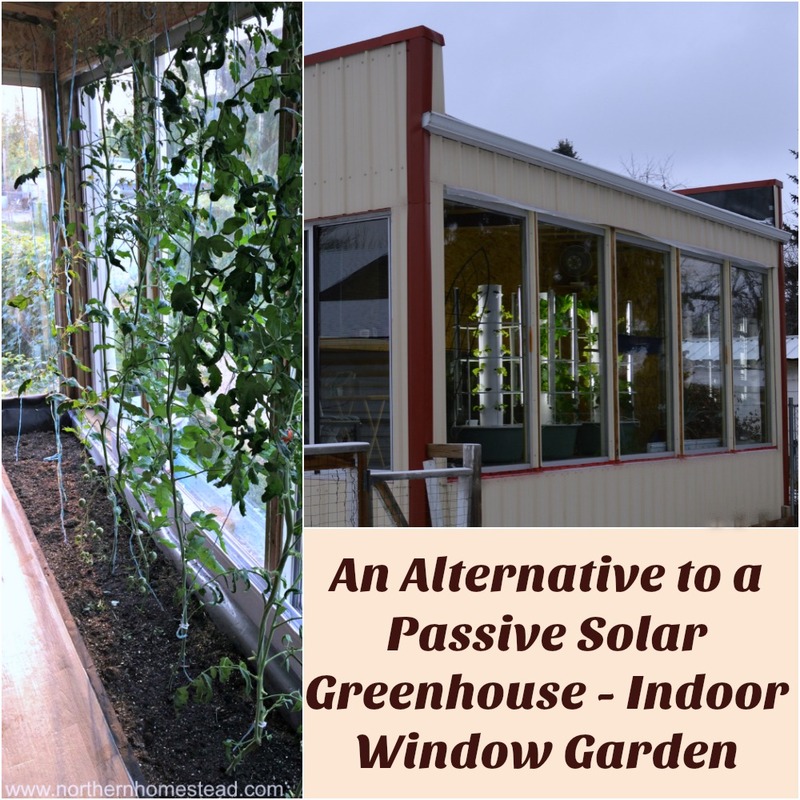 Since we have many windows in which to grow food, we have a lot of space for a growing box or Tower Gardens. 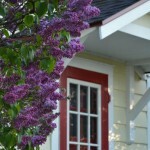 But all of it is just as applicable for one window, one Tower Garden or a small growing box. 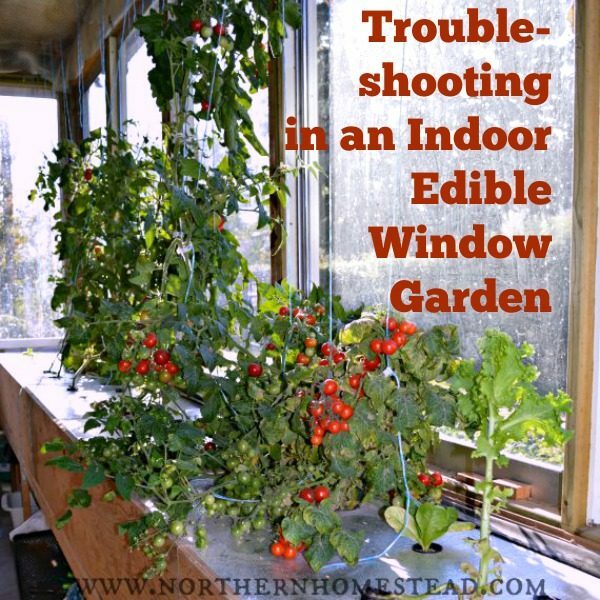 What will you need to grow an indoor edible window garden in water? We use the two-inch net pots for all our hydroponic growing, but you can get bigger if you want. 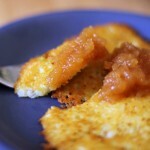 It is important that the growing medium fits right in. 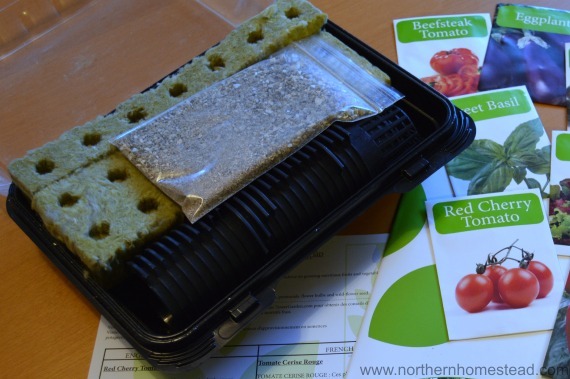 We use 1.5-inch Rockwool cubes , you can also use Oasis Rootcube, Rooter Plugs or any other hydroponic growing medium of your choice. 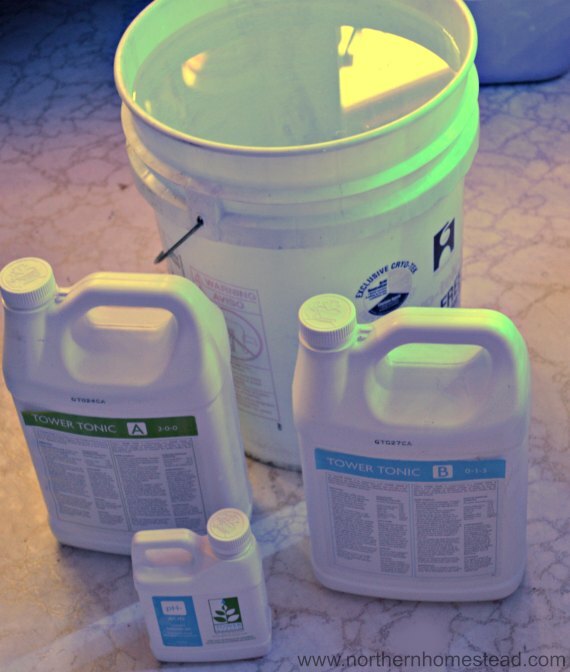 The hydroponic mineral solution is the key to any hydroponic growing. 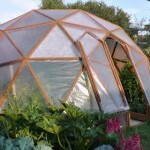 It will provide your plants with everything they need to grow and produce fruit. 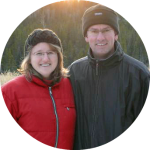 We first started with the Tower Tonic mineral blend. It is a high-quality mineral blend that is very simple to use, and works for all kind of plants alike. If you are a beginner, this might be a good start for you, too. Any hydroponic solution from your local garden center or online would work. There are liquid solutions and also powders on the market. As an advanced producer you might want to prepare your own mix of hydroponic nutrients specific to your plant’s needs. It really depends on your preference. Plants need a Ph level of 5.5-6.4. Depending on the water you are using, the pH can be way lower or higher. To fix that you will need a pH Control kit. If you are more serious about growing hydroponically, we would also recommend a digital Ph Meter to make your hydroponic growing easier. 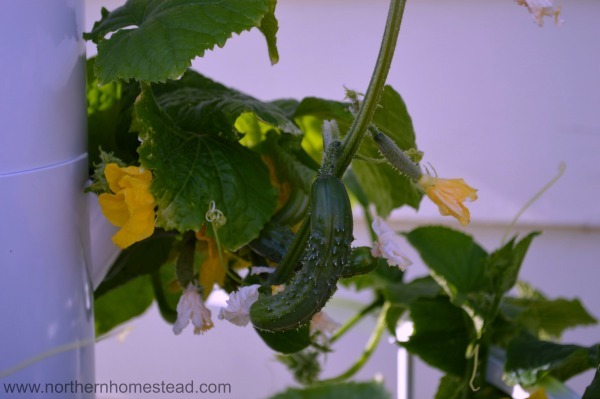 Any above-ground plant can technically be grown the hydroponics way. 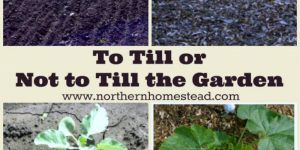 This method does not work well for root crops, such as carrots and potatoes. 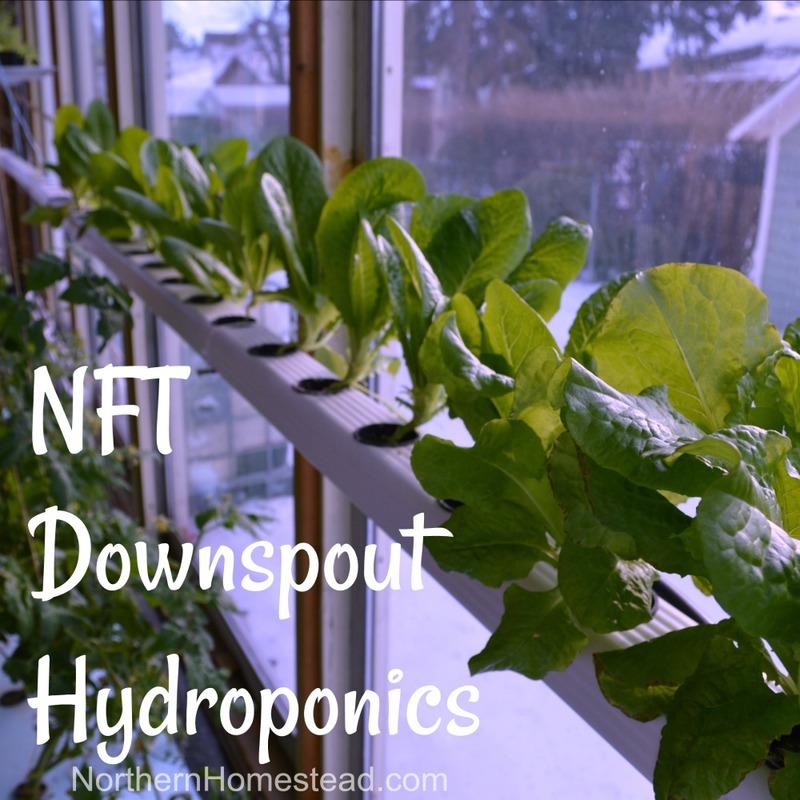 The simplest and most effective plant to grow with the hydroponics method is lettuce. A lettuce plant needs one gallon of solution in its life time. 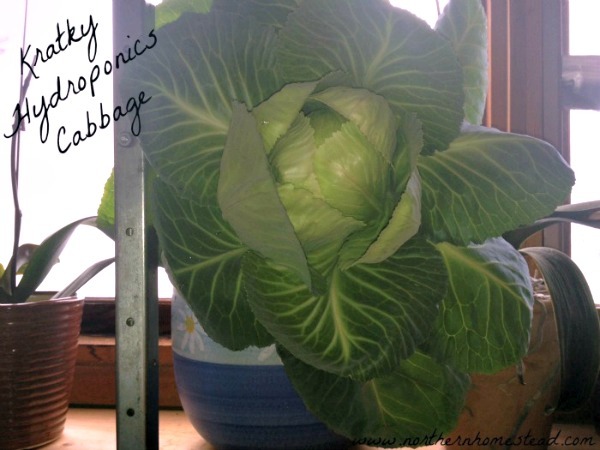 Plant lettuce the Kratky hydroponics way and you can forget about it until harvesting time. Here is some basil that we grew in our kitchen window using the Kratky method. 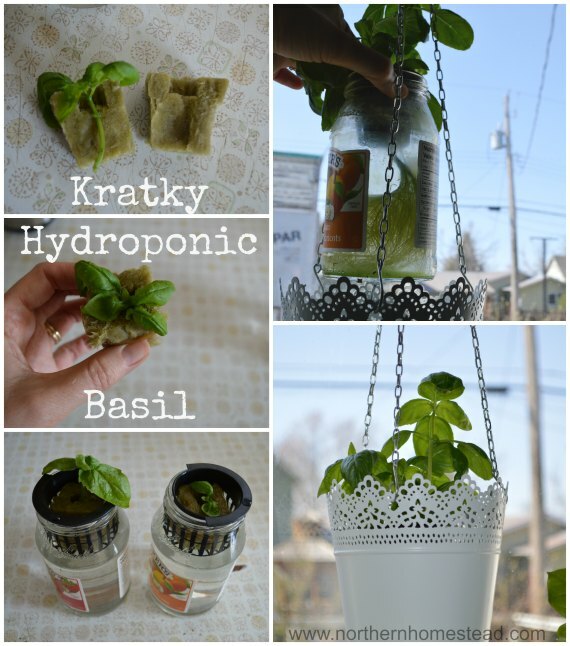 We started basil from a cutting, and it grows in a recycled glass jar that fits into an ornamental hanging pot. Kratky hydroponics can look nice too ;). 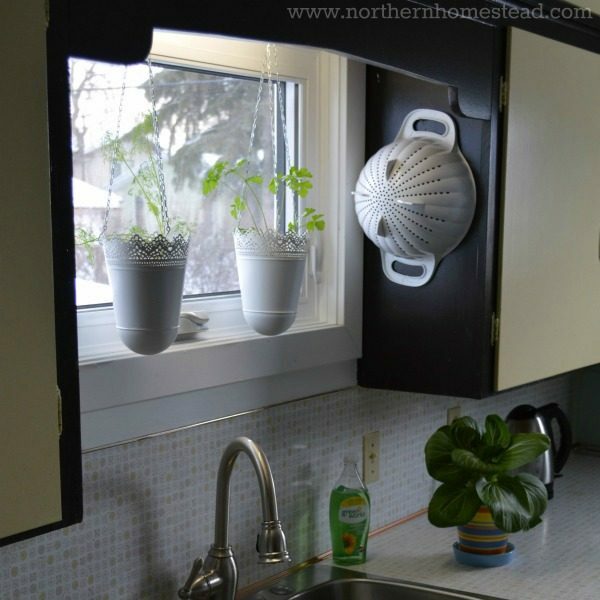 Here is a tomato that we planted in the winter in our kitchen window the Kratky way. Later we moved the plant into the aeroponics growing box. In 12 weeks the plant shows remarkable growth and had set fruit too. 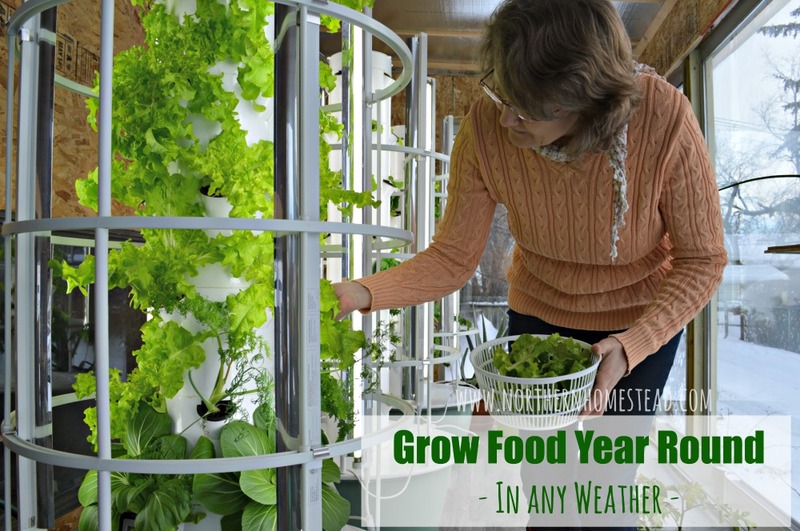 If we didn’t have an aeroponics growing box, we would just continue growing it the Kratky way. 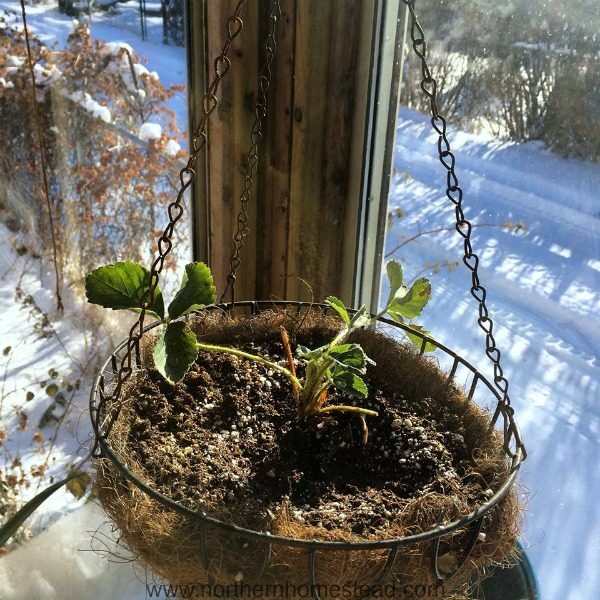 You can also easily move a hydroponically-grown plant from one pot or method to another or from indoors into the outdoors. 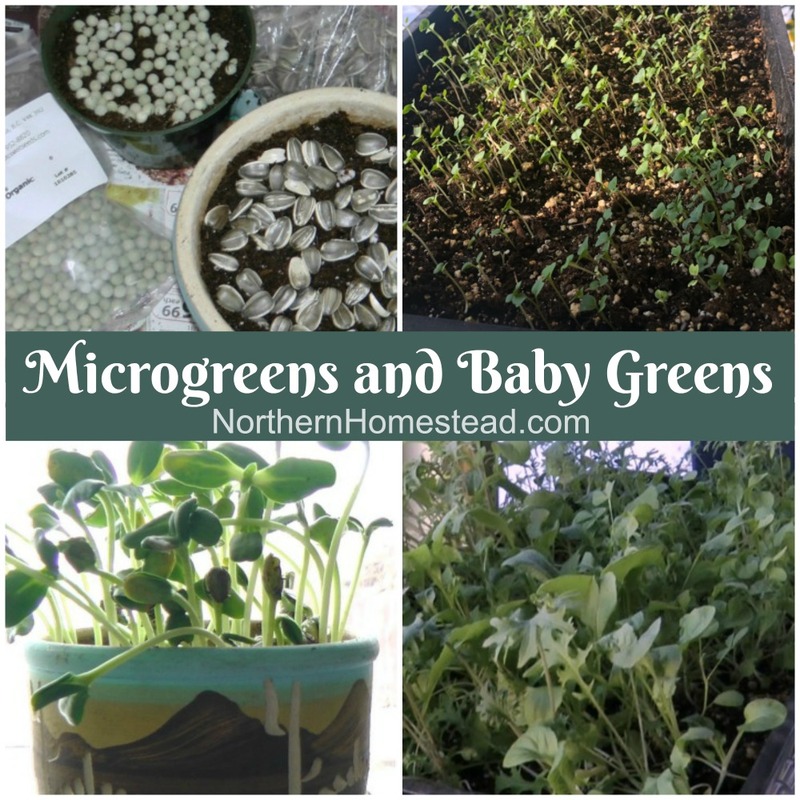 For short growing seasons that is a huge advantage. 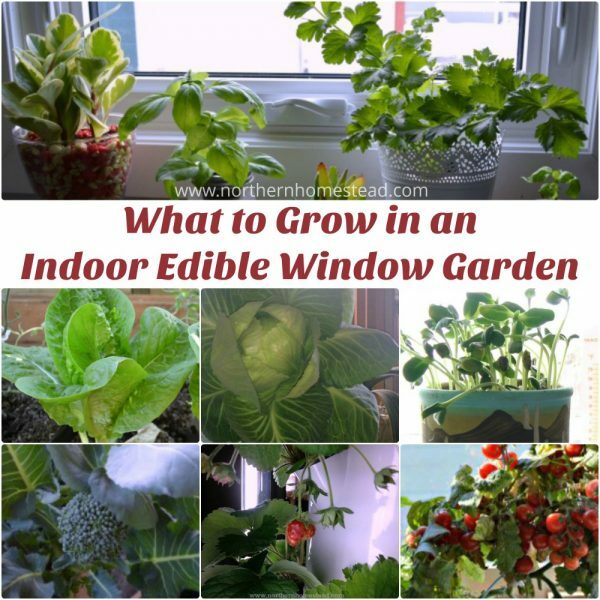 Growing an indoor edible window garden in water is a simple and fun container gardening method. Try it today if you haven’t yet.